The idea for Pmods dates all the way back to 2004 when Digilent the company was just getting started. By 2011, the Pmod interface had proven its utility enough around Digilent to warrant formal publication of the Digilent Pmod Interface Specification. Now, the Pmod interface has been adopted by companies around the world and grown into a global ecosystem. So who are some of the contributors to the global ecosystem? It can be a lot to navigate, so I will list a few here. 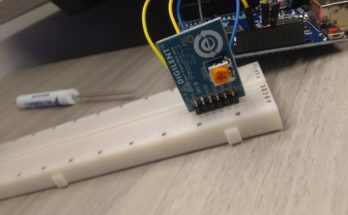 This is certainly not a comprehensive list, but a good start in finding the hardware to support your specific application. Future blog posts will include more. 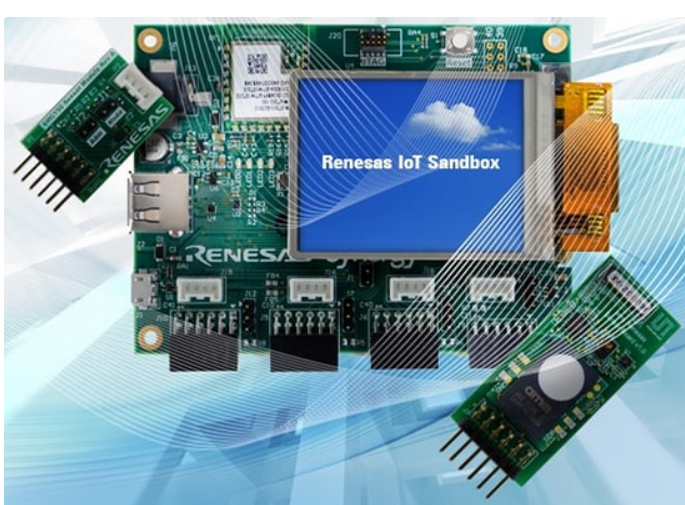 Renesas is headquartered in Tokyo and has locations all over the world. They are one of the world’s largest makers of microcontrollers, specializing in industrial, automotive, home electronics, and information communication technology applications, to name a few. 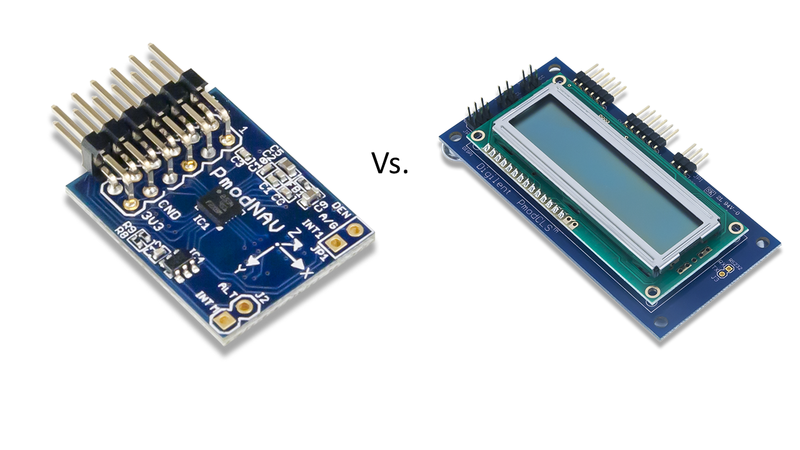 They’re MCU’s are based on the ARM architecture and they sell a wide range of dev platforms serving various introductory, evaluation, and rapid prototyping purposes. 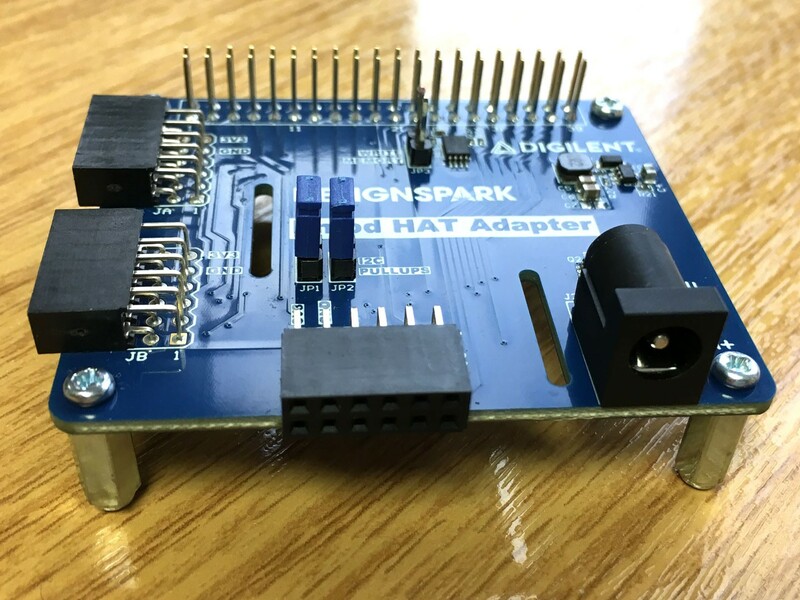 If you go to their Boards and Kits page, you’ll find a long list of starter kits, demonstration kits, Synergy™ kits and more, many of which incorporate Pmod expansion ports. They are currently putting a lot of emphasis on their Synergy Platform, designed to accelerate embedded development in the IoT space. All Synergy dev boards have Pmod expansion ports. The kit featured to the right comes with an AMS environmental sensor Pmod and a motion sensor Pmod. Maxim Integrated is an American company headquartered in San Jose, CA with offices all over the world. They specialize in the design, manufacturing and sale of analog and mixed-signal IC’s for the automotive, industrial, and consumer markets among others. Maxim uses the Pmod interface extensively, offering their own diverse catalog of mixed-signal Pmod modules. The majority of Pmods I’ve seen out there are exclusively digital, so if you’re looking for analog or mixed-signal, the Maxim Pmod collection would be a good place to check. Synopsys, Inc. is an American company with a global presence and is the leading company by sales in the Electronic Design Automation industry, according to Wikipedia. They are best known for their logic-synthesis tool but they offer a wide range of products, including the ARC EM Processor Family and some associated development platforms. 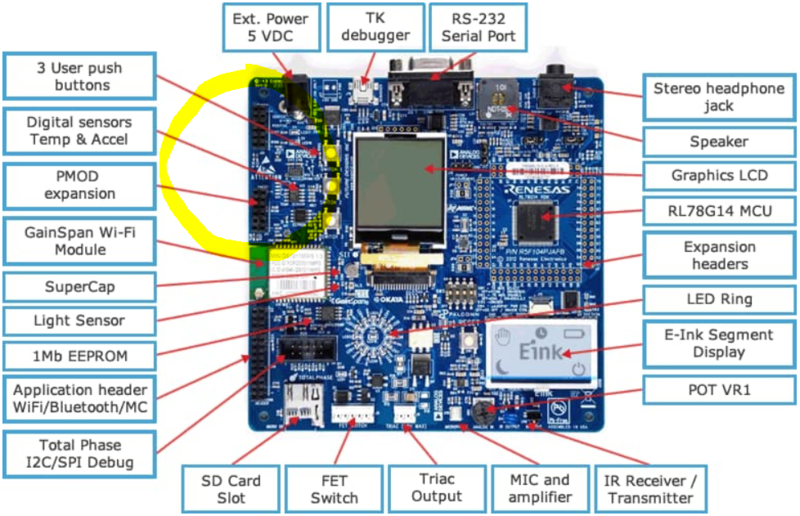 The ARC EM Starter Kit is designed to enable rapid software development and debugging, and is loaded with Pmod ports. In an article they wrote on The Top 5 Features To Consider with Choosing s Software Development Platform, they list expandability as number five and specifically tout the use of Pmod ports on their ARC dev platforms. We agree with this here at Digilent, which is why we created the Pmod spec in the first place! 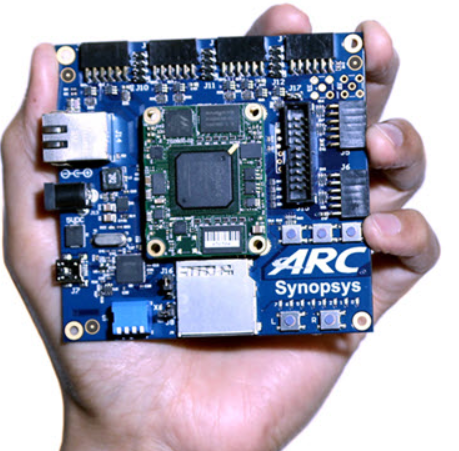 Synopsys also offers the ARC IoT Development Kit for sensor fusion applications, making use of Pmod expansion here as well. They are creating some of their own Pmods to go along with it as well. Pmod is a global standard and growing. The above list really only scratches the surface. Stay tuned for future posts that will highlight more companies and products, and hopefully aid in navigating the diverse and expansive Pmod ecosystem.